Erasmus Student Network (ESN) Jyväskylä is a local ESN section. 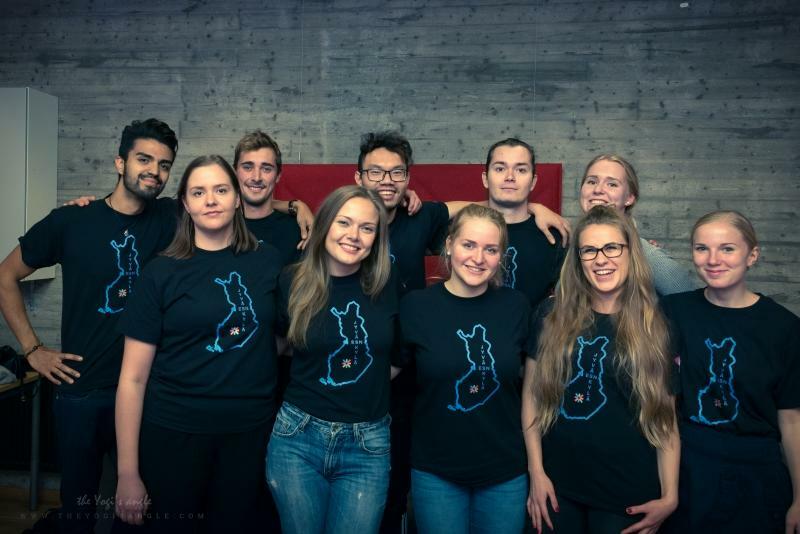 ESN Jyväskylä organizes multicultural activities, events, and trips for all students interested in internationalization, both Finnish and international. Our events consist of several parties, sports, trips, and projects, about which you can read more on this website. In principle, ESN Jyväskylä operates in English. You can find our office at University building MaD, room MaD238 on the second floor. We have office hours almost every week so you can come and buy ESNcard or tickets to our events! Internationally, the Erasmus Student Network is the biggest student association in Europe, and was founded in 1989 for supporting and developing student exchange. We are present in more than 800 Institutions of Higher Education in 40 different countries. The network is constantly developing and expanding. I’m a third-year student majoring in Finnish language and my position in the ESN Jyväskylä is the President for the year 2018. This is my third year with ESN JKL as well. I’m originally from Jyväskylä, but before I started my studies here I spent one year in Norway studying there as well. From there I got my inspiration to join my local ESN section and hopefully recreate the amazing and awesome experience for the exchange students about studying and living abroad. Things that I love are languages and foreign cultures, so no wonder that I’m involved in ESN! Also, tea, gaming and walks in nature are my thing. Welcome to Jyväskylä and nice to meet you! 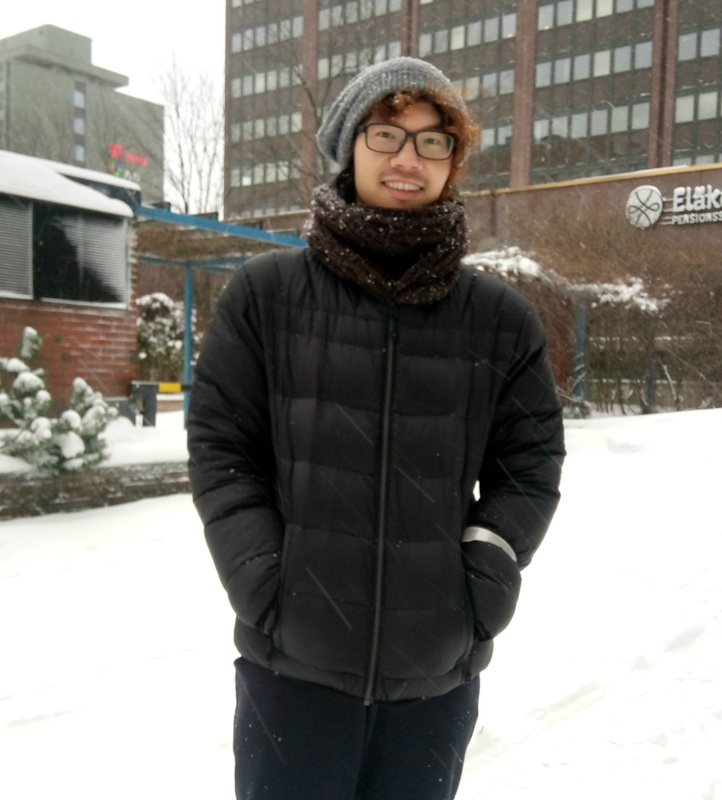 My name is Ville Dinh and I am the Local Representative in ESN Jyväskylä. Right now, I’m having my third year in Bachelor of Nursing in Jyväskylä UAS (so probably in case of emergency, you guys know who to call for CPR :D). Well, when I’m not ESNing or studying, I would spend my time at the gym, playing some sports by basketball (anyone else wanna join in). Also I am a big musical geek at heart, so I can just watch hours and hours of my own favorite musicals (and one of my checklist wishes is to write my original musical). Beside I love baking, but for most of the time, I would be the one feeding other people the cakes I made. I am an international tutor in my university, and also one of the head members of the international club as well, so I was thinking why not expand it more than just my own university, what about being internationalized with the whole Jyväskylä. Therefore I decided to apply for the ESN board in Jyväskylä. 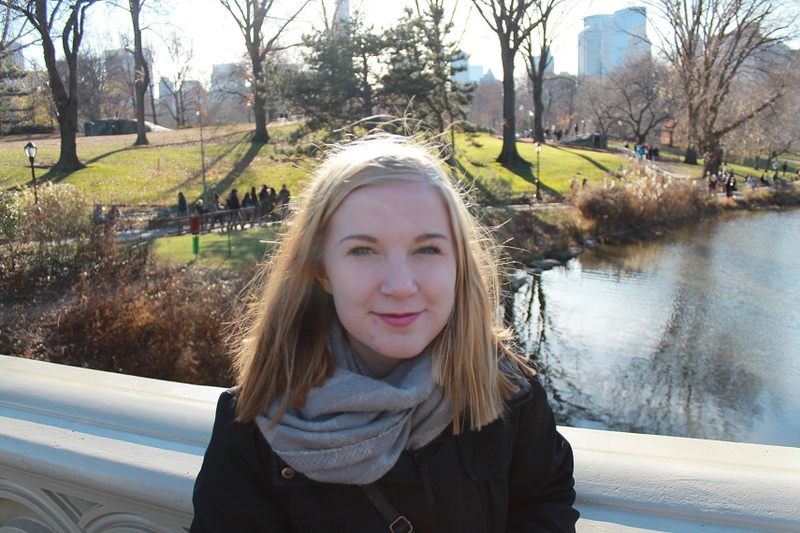 My name is Essi Tanskanen and I'm a third year Environmental Science and Technology student. I'm the secretary which means I write decisions and other important issues to a document in the meetings. I'm also helping in the events every time I can. In my free time I love to do sports such as CrossFit and keep myself busy. Hello! 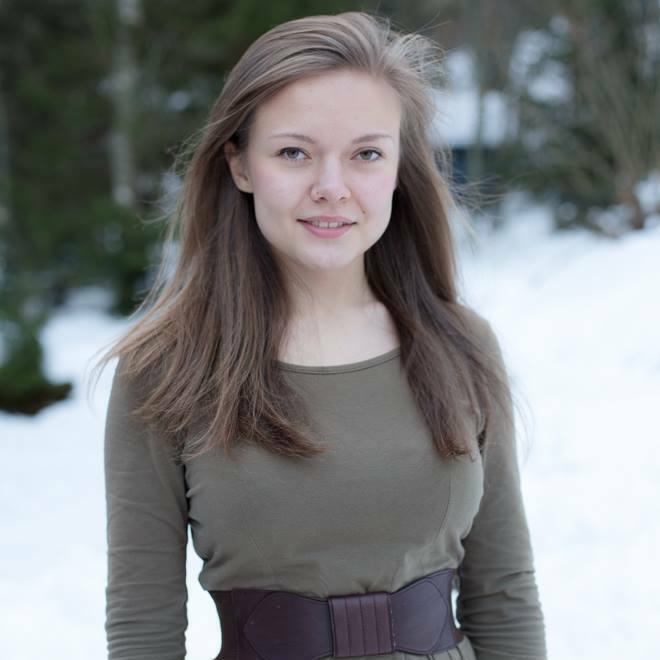 My name is Ida and I will be the treasurer this year, so I’ll be taking care of the financial matters of ESN Jyväskylä. I’m a third-year management student, minoring in accounting and commercial law. I did my exchange in Denmark in the autumn of 2017, and that inspired me to join ESN Jyväskylä. I want to help others to have the same unforgettable experience as I had! When I’m not busy with my studies, work or ESN, I like to spend time with my friends, do some sports or play with my two cats. You will see me in our various events, and I’m looking forward to meeting you all! Hi all! I’m Venla, your travel coordinator for the year 2018. I’m a fifth year student majoring in environmental science and technology. I did my own exchange in Canada in 2015 and after I came back home, I joined ESN JKL wanting to help incoming exchange students to make the most out of their stay in Finland. I’m a serious animal lover and with my dog Lenni I like to do different dog sports and explore the Finnish nature and the streets of Jyväskylä every day. Also, I enjoy dancing, cooking and reading good books. Naturally I love travelling as well and if you have any questions about the ESN JKL trips, don’t hesitate to contact me! I’m looking forward to meeting you all, let’s make this year great! Hi, everyone! I'm Emmi, the Events Coordinator for ESN JKL in 2018. I look forward to making this year memorable for all of you! I look forward to meeting y'all! Feel free to come say hi or ask me anything! Hi! I'm Hentter and the IT Manager for the year 2018 but that is not all. You will see me in most of the events and maybe also on the trips. I'm studying computer science in the University of Jyväskylä and I like binge watching Netflix, cooking and listening to music. Mostly metal and rock, like every other Finn, so I'm bad choice for a DJ. Last year I was Erasmus student myself. I spent lovely six months in Slovenia and when I came back to Finland I felt a huge need to join ESN Jyväskylä. Hopefully you will feel that same need and join your local ESN section and continue to have fun and never stop being ESNer! I’m Laura, current PR & Communications manager of ESN Jyväskylä, so I’m the one who’s trying to take photos of you all the time. You’ll also see me a lot at the events and at the sports turn. I’m actually quite new to Jyväskylä myself – I just moved here to do my master’s in Corporate Environmental Management, so I’m probably lost as often as you are. Besides studying, working and ESNing, I love to go on adventures, hangout with my friends, do sports, drink tea, watch Netflix and nap. I love travelling and did my own Erasmus in Austria (I dare you to speak German to me), which was an amazing experience, and so I thought it would be cool to be part of ESN also here in Finland and help others to make great memories as well. Looking forward to meet you all!